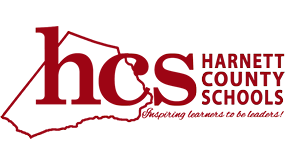 The application period for nonprofit agencies to request funding from the Harnett County Board of Commissioners for the 2019-20 fiscal year will open on February 1. You may download the application along with the Harnett County Policy for Funding Nonprofits below. Paper applications are also available from the Harnett County Public Library at 601 S. Main St., Lillington, and from the Harnett County Manager’s Office at 420 McKinney Parkway, Lillington. Completed applications must be hand delivered to the County Manager’s Office or mailed to the Harnett County Manager’s Office at P.O. Box 759, Lillington, N.C. 27546. To be considered for funding, applications must be delivered or postmarked by February 28, 2019, at 5 p.m. Contact Shannon Eason at season@harnett.org or at (910) 893-7555 with any questions.